Nine years ago a German drone nearly collided with a passenger plane over Afghanistan. The classified drone camera footage drew public attention after the German defense ministry scrapped a drone program for its lack of anti-collision technology. Footage taken by an EMT Luna X-2000 reconnaissance drone as it passed mere meters under the left wing of an Airbus A300 passenger plane surfaced on YouTube several years ago. After the encounter, the drone was caught in the plane’s wake turbulence, lost control, and crashed over the Afghan capital Kabul, Der Spiegel reported. The Ariana Afghan Airlines plane was carrying about 100 people on board, the magazine said. The manufacturer of the 40kg drone has claimed that the near-collision occurred after the passenger jet veered off-course without informing ground control. The video was leaked a week after German Defense Minister Thomas de Maizière decided to scrap the $652 million EuroHawk program – meant to be a replacement for existing reconnaissance aircraft – including the Luna drones. EuroHawk is part of the NATO Global Hawk project, under which Germany was to buy Northrop Grumman RQ-4B drones and fit them with customized sensors. However, the German military would not be able to certify the drone for use in European airspace without an anti-collision system, which would make the aircraft too expensive, de Maizière said, adding that even with such a system installed certification would not be guaranteed. German media also reported that EuroHawk suffered from technical problems and cost overruns. Germany has bought one drone from the US manufacturer of the EuroHawk program, and was expected to purchase four more. If given the green light, the contract would be worth $1.3 billion. De Maizière came under criticism recently for the drone program after a leaked defense ministry report showed that the drone’s flaws were apparent as early as 15 month ago. Critics have accused the minister of failing to act and continuing to spend taxpayer money on the doomed project. De Maizière will appear before the German Parliament this week to report on the issue. 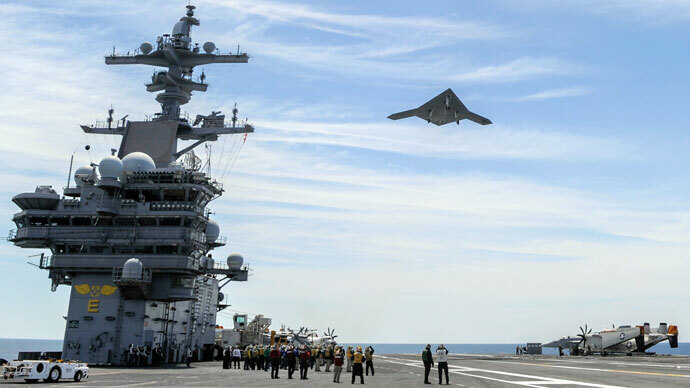 Advancements in unmanned weapons systems have become a global controversy in recent years. Militaries have praised the weapons for not endangering the lives of operators, and for being generally more cost-effective than older manned hardware. But critics are expressing increasing concerns over the collateral damage caused by drone strikes, the vague legal justifications for their use, and the potential creation of weapons that would remove human judgment altogether from the decision to pursue a target. There is also the perception that nations with advanced drone technology – specifically the US and Israel – have an unjust capability to enforce their policies on other countries.